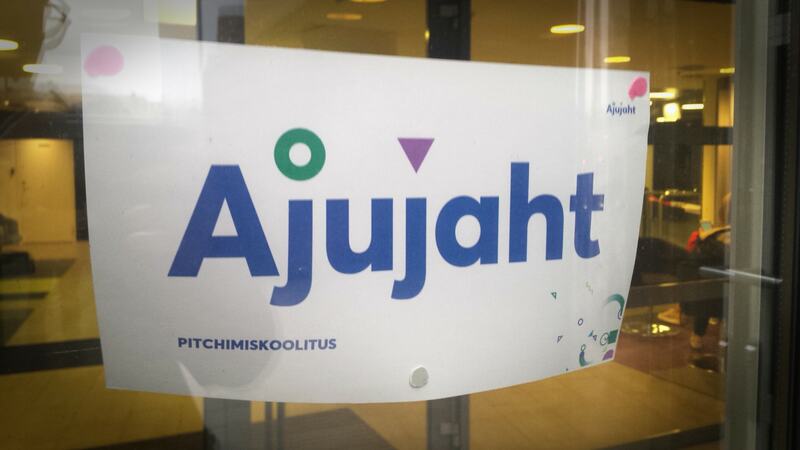 My latest business endeavors have gotten me to take part in a local start-up accelerator program called Ajujaht. In this post, I will share with you how I came to partake in it and what has happened so far. 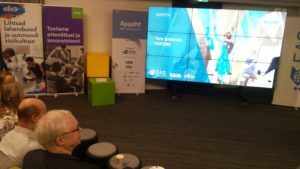 At the beginning of October, I attended a local entrepreneurship event called Tallinna Ettevõtluspäev. In the midst of listening to different talks, I noticed a familiar booth in the hallway. It read “Ajujaht” – and I immediately remembered my grandmother encouraging me to take part in this program a few months prior. I knew the program was aimed at innovative start-up ideas and regularly ran on TV. I didn’t know much else – so I decided to investigate further. It turned out that every season most of the accelerator program went on behind the scenes. Usually, hundreds of ideas are applied every year. The TOP 100 of these join the program, but only the TOP 30 make it in front of the viewers at home. Then after rounds of mentoring, pitching and judging, the TOP 3 ideas are selected and teams are awarded. The TOP 3 get a monetary prize and all attendees nominate for special prizes. Some very well known and wildly successful start-ups began their journey at Ajujaht. 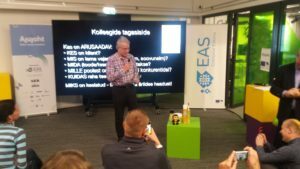 Businesses like Taxify, Click & Grow, Timbeter, GoWorkaBit and others have taken part in this accelerator. Last weekend I attended the first pitch training workshop. We were told a little more about the program and then we dove straight into creating our pitches. If you didn’t know: Pitch is the short presentation you give that clearly describes your idea and the opportunities around it. It was explained to us that the first 30 seconds of a pitch is the most critical (also called an elevator pitch). This is when your listener is capable of giving you most of his/her attention. After the first 30 seconds, the attention drops drastically. So you have to deliver your idea in the first half minute, and then expand on it afterward. I love the feeling of being surrounded by passionate like-minded people. The environment there somewhat reminded me of the game development community. I learned that the first 30 seconds should shortly cover the target audience, their problem, our solution, and our business model (how we earn money). It should be short, simple, clear, and not rushed. Then the remaining time (and attention) can be spent on describing the market, the competition, your potential growth, and your team. At this state, you can go into a little more detail and answer questions also regarding the topics you touched in your first 30 seconds. Next weekend all 100 ideas are pitched to a room full of judges one by one. Every presenter has a total of 3 minutes to present and an extra 5 minutes to answer questions. The results from that pitching event decide which 30 ideas will proceed to the next round. And who will be one step closer to winning the program.